Hi everyone ! Did you hear about O-bon in japan ? 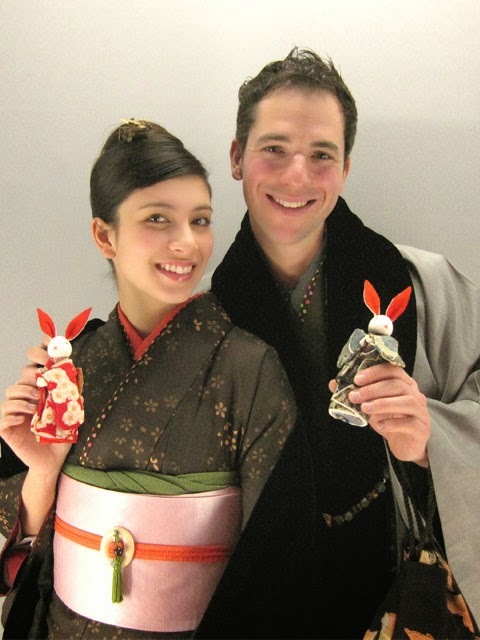 O-bon is a japanese custom to honor the spirits of one's ancestors. This buddhist custom has evolved into a family reunion holiday during which people return to their hometowns in order to pray for the spirits. 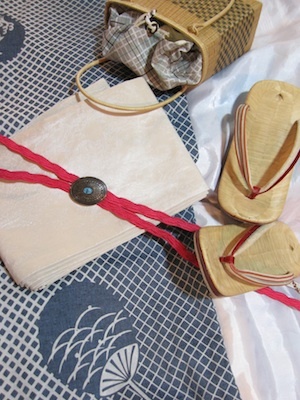 In most regions of Japan, O-bon is celebrated between the 13th to 16th of August. 16th is the day of the famous Daimonji Yaki matsuri in Kyoto. 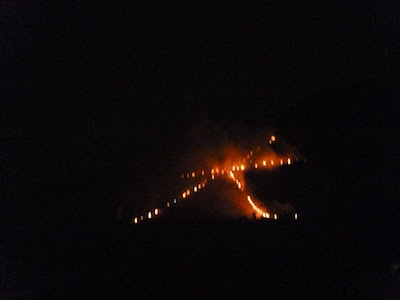 Five big bonfires in the shape of chinese characters are lit on moutains surrounding the city. It signifies the moment when the spirits of deceased family members who are said to visit this world during O-bon, are believed to be returning to the spirit world. The most famous and the first to be lit is the character " dai ", means large on Daimonji Yama from 8pm. Also the characters " funagata " and " torigata " which means the shape of the ship and shinto shrine's gate . This festival is the best opportunity for many people to walk through the city in beautiful summer kimono, called yukata.